The Buckminster Fuller Institute (BFI) will award the 2013 Buckminster Fuller Challenge prize to Ecovative, a materials science company that has developed a new class of home-compostable bio-plastics based on mushrooms on November 18th at The Cooper Union. 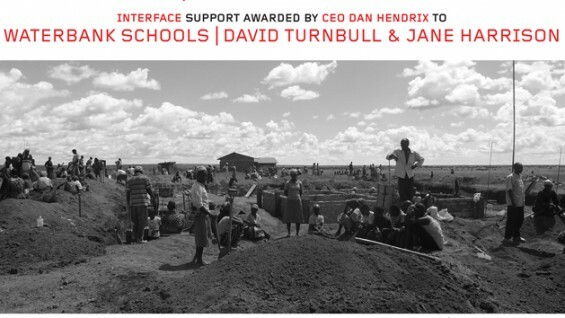 In addition, Challenge sponsor Interface Inc. will convey an award of support to the Waterbank Schools, headed by designers and social entrepreneurs David Turnbull, a professor at The Irwin S. Chanin School of Architecture at The Cooper Union, and Jane Harrison, for its transformative building prototype for poor areas in need of water. The ceremony will include a keynote talk by architect and world-renowned sustainability expert John Picard in conversation with BFI Board Chair David McConville. The Buckminster Fuller Challenge is an annual international design challenge awarding $100,000 to support the development and implementation of a strategy that has significant potential to solve humanity's most pressing problems. The competition is supported by Interface Inc., Halloran Philanthropies and others. 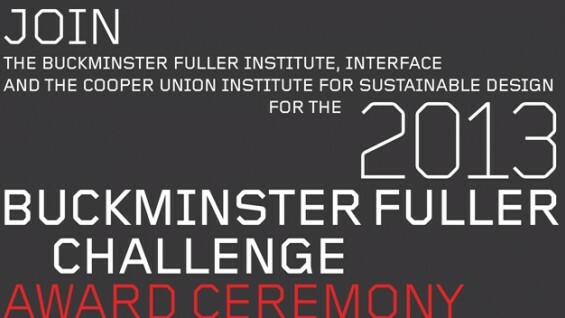 The Buckminster Fuller Challenge is supported by Interface, Inc., Halloran Philanthropies + others. The event is made possible through partnerships with The Cooper Union Institute for Sustainable Design and The Buckminster Fuller Institute.